Learn professional cooking techniques and food preparation methods from your favorite chef’testants on Bravo's hit show Top Chef. 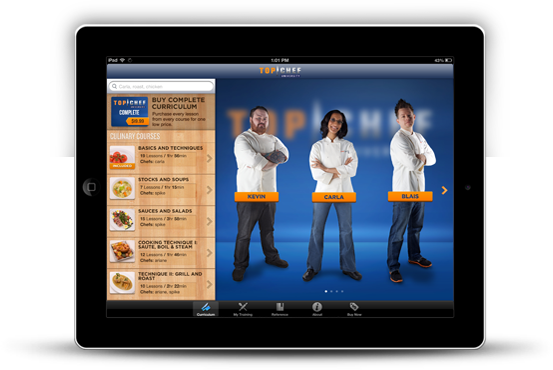 Top Chef University The original fully-featured curriculum for iPad and Android tablets. 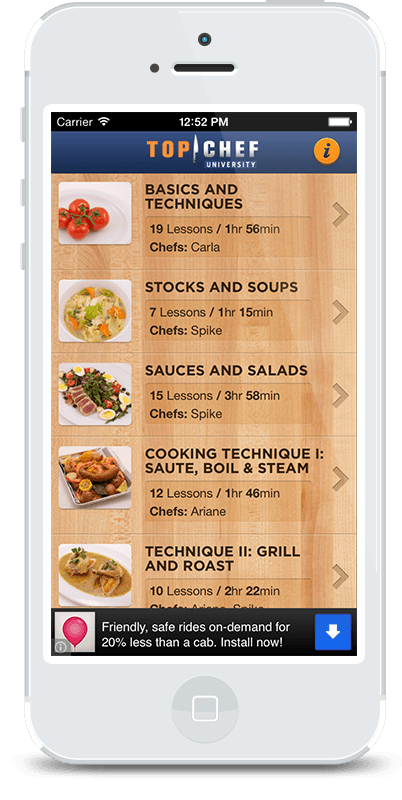 TCU To-Go A streamlined experience specifically designed for the iPhone.